Summer isn't over yet. Well not for us anyway. We apparently are clinging to it like a kid to a raft in piranha infested waters. 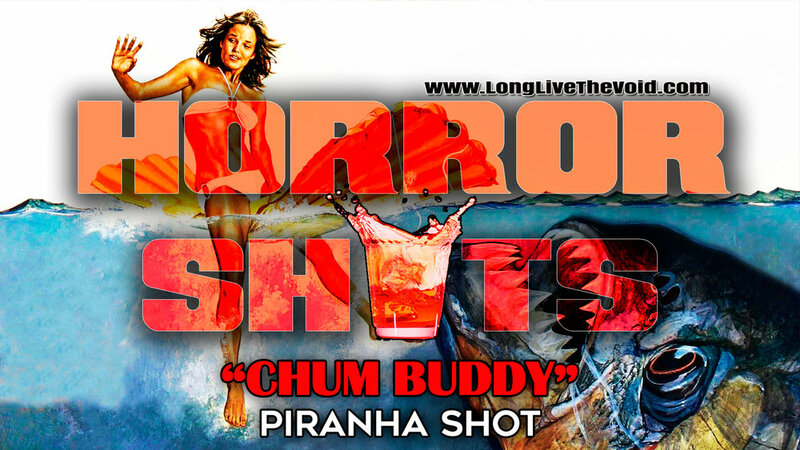 This week Nicholas Ehst joins the cast to talk about Piranha & Piranha 2 The Spawning. Two bite movies that will tickle your toes and swallow your flesh whole. Two films that actually started it all for Joe Dante and James Cameron. How about that? Plus we even made a shot themed around the movies called a “Chum Buddy”. It's delicious. So grab a stick of dynamite, a raft and be sure to jump into random military pools as we travel Beyond The Void!